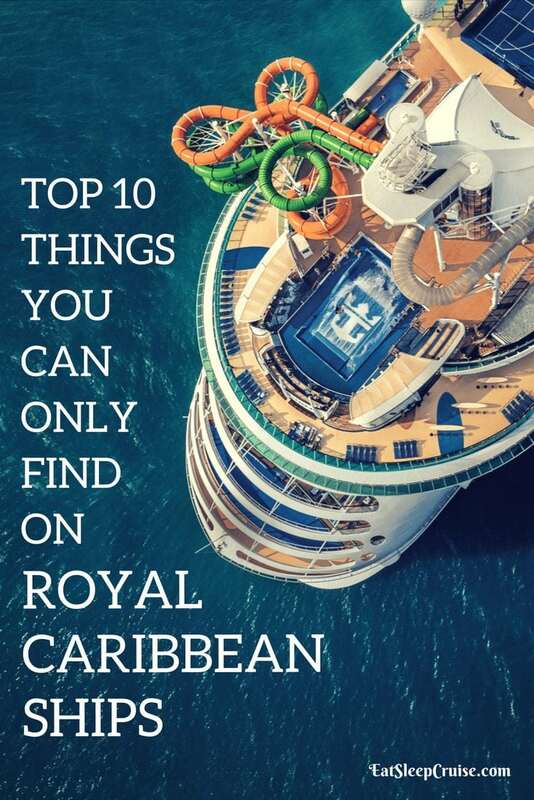 Scroll down to watch our brand new video showcasing the 10 Things You Can Only Find on Royal Caribbean Cruise Ships! Royal Caribbean International is one of the most popular cruise lines. With loyal fans and some of the most innovative vessels, there are plenty of great reasons to sail on one of the line’s 25 cruise ships. In fact, the cruise line has been busy building vessels with features you can’t find on any other cruise line. 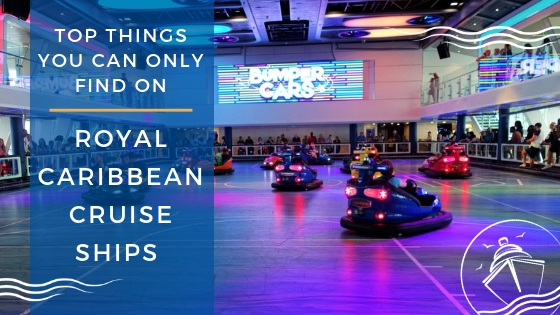 Check out just some of the exclusive amenities and venues in our 10 Things You Can Only Find on Royal Caribbean International Ships. You don’t need to travel to Hawaii or the Pacific to surf on your cruise. When you sail on Royal Caribbean, you can bodyboard or surf right on the pool deck. 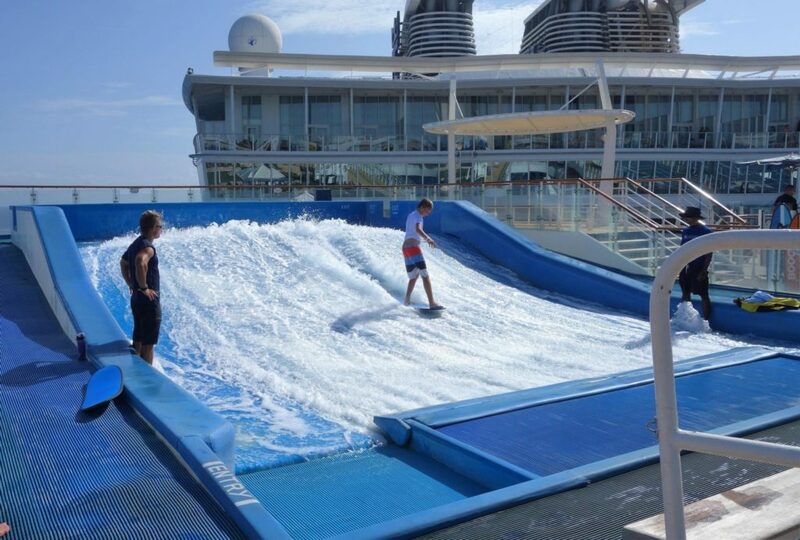 The line’s signature Flowrider is a surf simulator that allows you to “hang ten” without even leaving the cruise ship. This wet and wild activity is fun for all ages. The Flowrider is currently on 16 of the line’s ships, including the soon to be released Spectrum of the Seas. 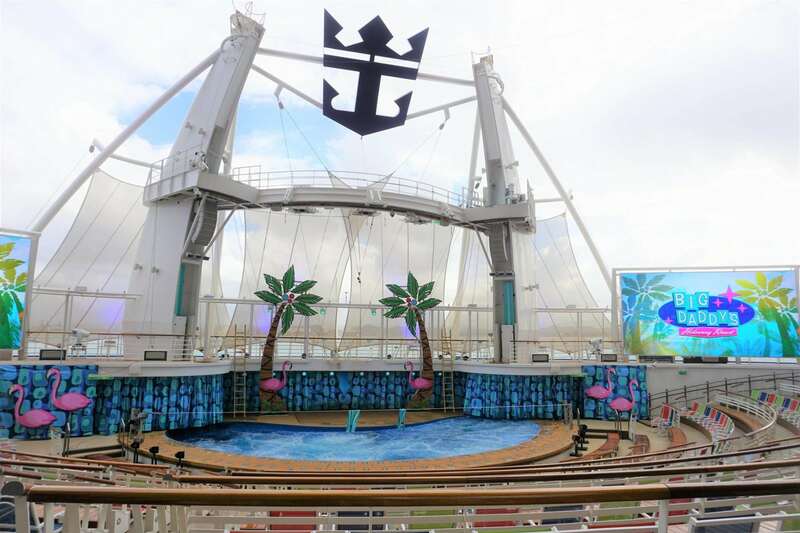 Found on a dozen Royal Caribbean ships, the Studio B ice skating rink is home to a variety of production shows. In addition to featuring world-class Olympians and national skaters, you too can lace up some skates as Studio B is open on select days for skating sessions. Long pants and socks are required. Where else can you ice skate in the Caribbean and Bahamas? Cruise entertainment is truly one of a kind on Royal Caribbean ships. On the four Oasis-class ships, you will find the Aqua Theater. This outdoor venue is like nothing else at sea, featuring a high-tech pool which comes to life for unique water-based entertainment with divers, synchronized swimmers, and other acrobatics. Each of the four ships in this class showcases a unique diving show. Love rock and roll? Then, you will love the first actual concert venue at sea, the Music Hall. This venue is where you can let your hair down and head bang to your favorite rock and pop music by first class tribute bands on the Quantum-class ships. These ships also feature the Two70 Theater, a digitally enhanced venue with transformative HD vistarama screens and robo-screens that become part of the action. Signature production shows captivate audiences with a mix of the latest digital technology, music, dancing, and acrobatic performances in this immersive venue. Most ships have decks, but some Royal Caribbean cruise ships are so massive that they have neighborhoods. The four ships in the Oasis-class are home to these themed areas that make you feel like you are no longer on a cruise ship. There is Central Park, which transports you to a quaint green-space the middle of the ship where you can grab a quick lunch, enjoy an exquisite dinner and drinks when the sun goes down, or simply just relax. There is also shoreline fun and amusements on the Boardwalk, complete with a carousel, hot dogs, and ocean views. While sailing on the three Quantum-class ships, cruisers can soar to new heights. With the cruise line’s North Star, you can rise up to 300 feet above sea level for a bird’s eye view of the ocean or the local port. Riders are given 360 degree views of the surrounding port of or call, or you can enjoy a ride on the North Star while your ship is cruising to its next stop. 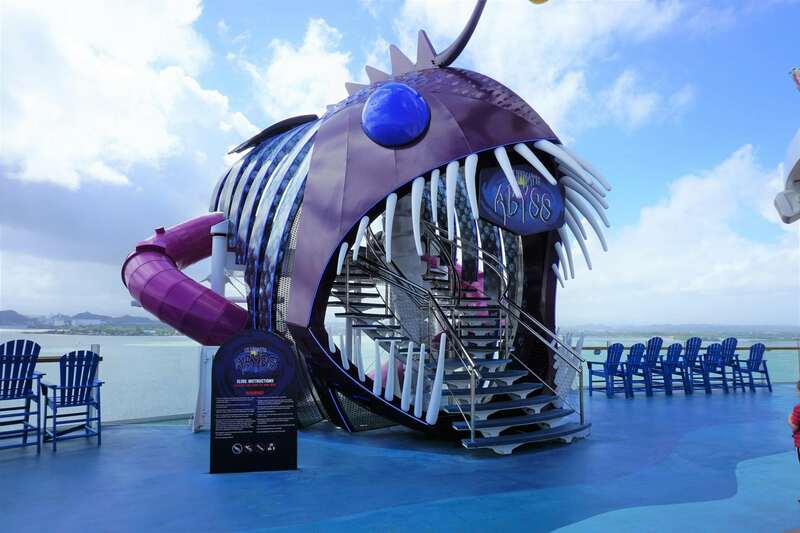 Recently, Royal Caribbean began its amplification updates. 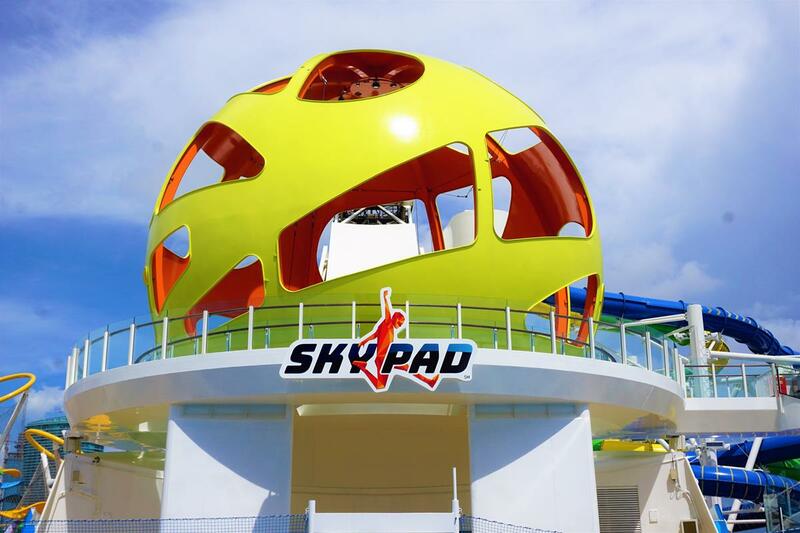 Among the new additions to several vessels, including Independence of the Seas and Mariner of the Seas, is the Sky Pad. This outdoor bungee trampoline experience gives you the opportunity to get some serious airtime. This high-flying complimentary activity gets a digital upgrade when cruisers don virtual-reality headsets. These headsets include different games that align with your movements to make you feel like you are immersed in an out of this world adventure. Also on Quantum-class ships is another gravity defining experience that you can only find on Royal Caribbean ships. With the line’s Ripcord by iFLY you can literally fly while cruising the Caribbean This indoor skydiving simulator is one of the most hair-raising experiences you will find on any cruise ship. All cruisers are granted one complimentary flight during a typical week long cruise. Yes, you do need to make reservations ahead of time, but the 60-second exhilarating flight will surely be one of the highlights of your cruise. 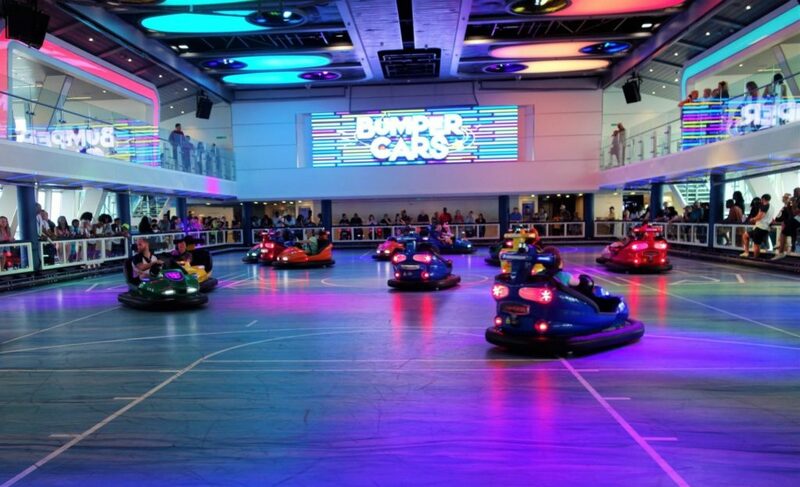 Where can you go roller skating, be part of a circus, and bounce around in bumper cars? At the largest indoor sports complex at sea of course! The Seaplex is home to all of these activities and more on the Quantum-class ships. The venue also has the first “food truck” at sea featuring classic hot dogs, the Xbox Lounge, and plenty of other games like foosball and ping-pong. This is definitely the place to be when the weather outside does not want to cooperate. 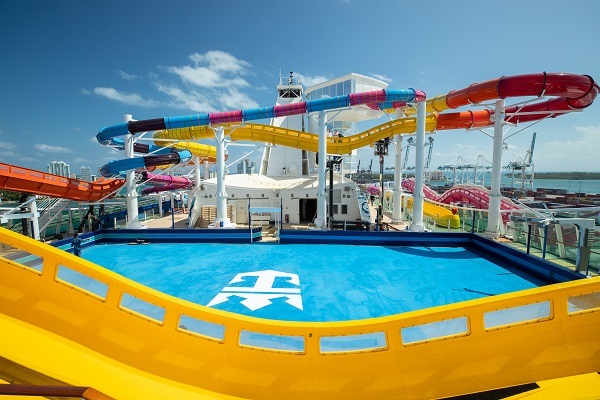 Plenty of cruise ships have water slides, but Royal Caribbean has some one-of-a-kind slides that you can’t find on other ships. On Liberty of the Seas, you can ride the first boomerang slide at sea. These tube based slides include a moment of weightlessness, as cruisers head forward and then backwards on this unique attraction. The newly amplified Navigator of the Seas is home to the first ever head-first mat slide at sea, the Riptide. In addition, the new Blaster aqua coaster is now officially the largest waterslide at sea, featuring the longest stretch of slide ever suspended over the side of a ship! Or, you can plunge 10 stories on Harmony of the Seas and Symphony of the Seas with the Ultimate Abyss. This thrilling slide is like nothing you have seen before and is not for the faint of heart. The most high-tech escape room experience built exclusively for a cruise ship is the Escape the Rubicon which can only be found on Royal Caribbean’s Harmony of the Seas and Symphony of the Seas. This digital and highly interactive escape room is fun for adults and children over the age of 12 and is well worth the additional costs. During a challenging 60 minutes, you will test your wits and make some new friends in the process. Luckily, the cruise line has added additional escape rooms, including The Observatorium found on several of the line’s amplified vessels. Royal Caribbean has two private islands that cater only to cruisers sailing on their ships. 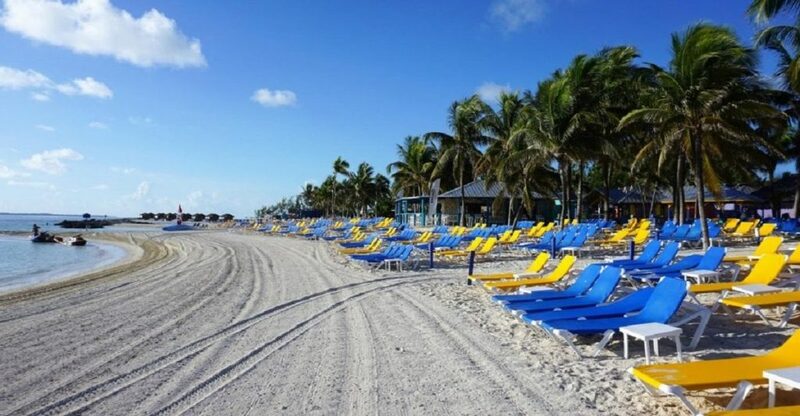 In CocoCay, Bahamas, cruisers can enjoy a relaxing beach day at one of the several beaches with upgrades like cabanas or bungalows. Starting in 2019, CocoCay will include new additions like the Thrill Waterpark with 13 jaw-dropping slides, including the Daredevil’s Peak – the tallest waterslide in North America. The park will also feature the largest wave pool in the Caribbean. Other thrilling experiences include Up and Away, a helium balloon that floats up to 450 feet in the air, as well as brand new dining options and new cabanas coming later this year. At Royal Caribbean’s Labadee, Haiti, you can enjoy the longest zip line over water, an alpine slide, and plenty of other adventures. This private resort offers plenty of onshore and water-based fun for the entire family, including snorkeling, beach volleyball, and several shore excursion options. Both islands include a complimentary island barbecue, and your beverage package also applies to most alcoholic beverages at the island bars. 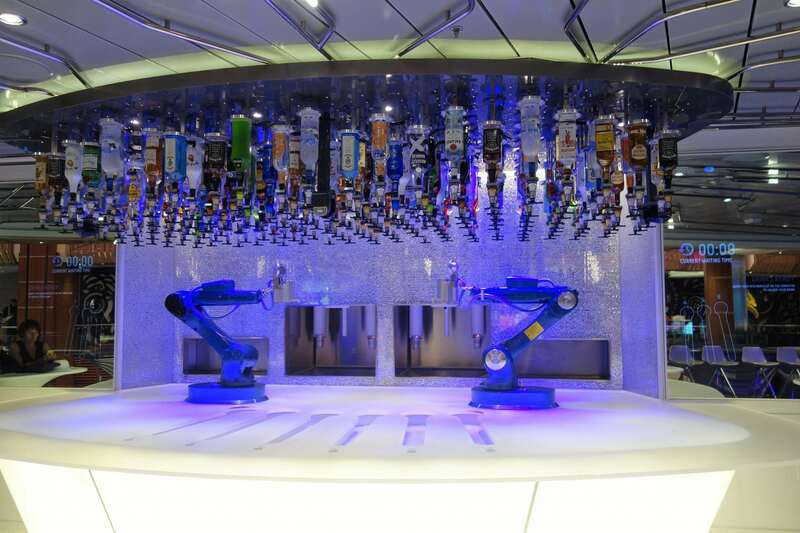 Whether you like it shaken or stirred, the robotic bartenders at the Bionic Bar on Quantum-class ships and the newer Oasis-class ships are ready to serve up dozens of crafted cocktails. With specialty drinks or custom creations, cruisers order from an iPad and watch the cocktail come alive from two automated robots. If you prefer a human bartender, the Rising Tide Bar on Oasis-class ships might be your go to spot. This bar rises and descends three decks from the Promenade to Central Park. Almost all the drinks at both locations are included in the Royal Caribbean Drink Package. Inside rooms with a view? 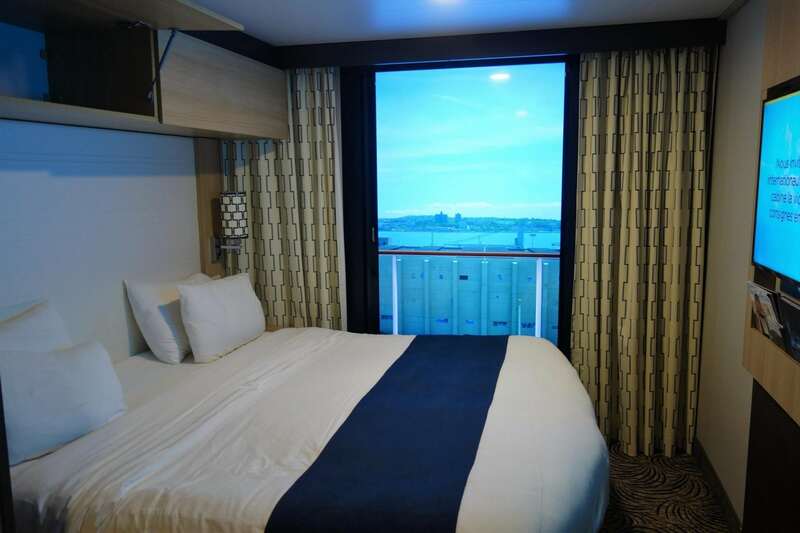 Yup, with the only “virtual balcony” at sea, inside rooms on several Royal Caribbean ships have a view of the outside world. These floor to ceiling windows replicate the look and feel of a real balcony with live feeds of the current conditions outside. Many ships are getting upgraded inside rooms with these technological enhancements. 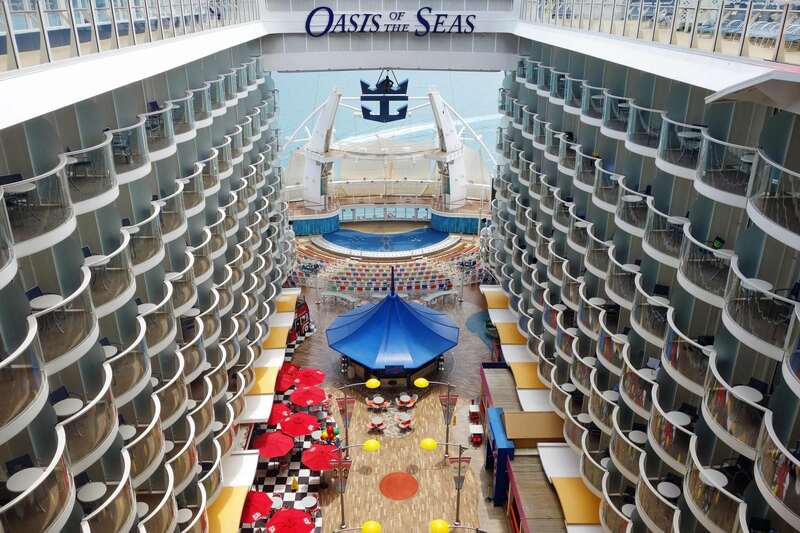 On Oasis-class ships, you can even get an inside view (or balcony) overlooking Central Park and the Boardwalk. What do you love about Royal Caribbean International? 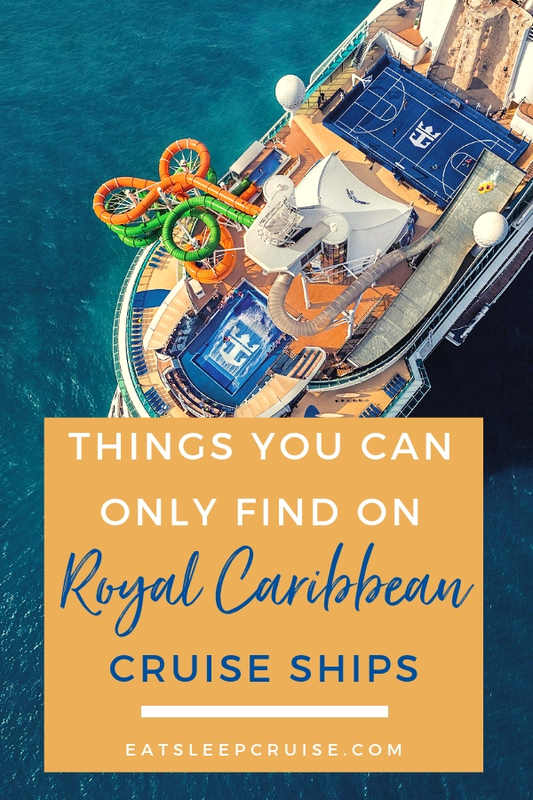 What are some of your favorite things you can only find on Royal Caribbean International ships? Drop us an anchor below to tell us why you like to cruise with the brand.